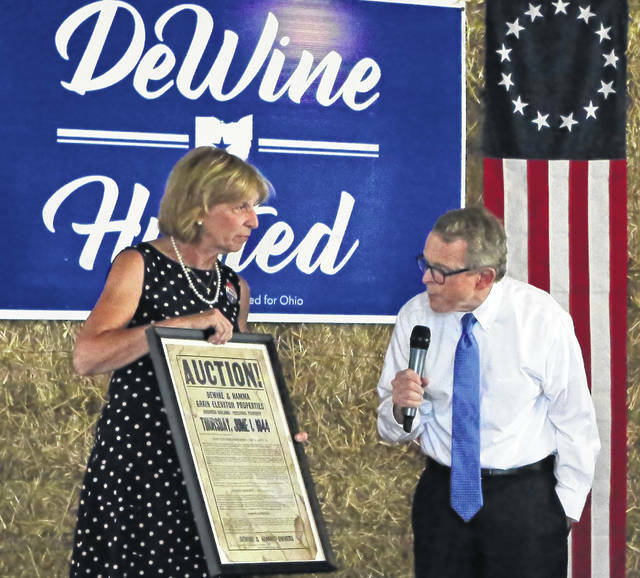 Mike and Fran DeWine eye an old auction flyer for his family’s DeWine and Hamma Grain Elevator in Sabina. 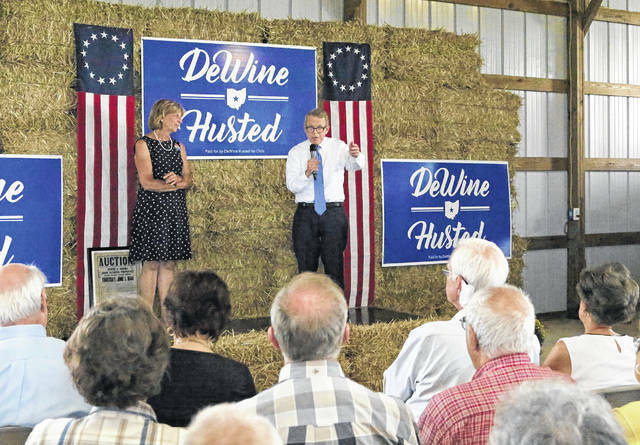 The crowd applauds the Republican candidate for governor. 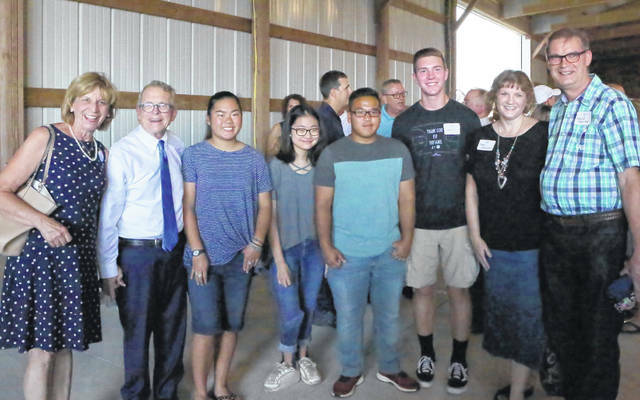 The David Sheeter family with the DeWines. 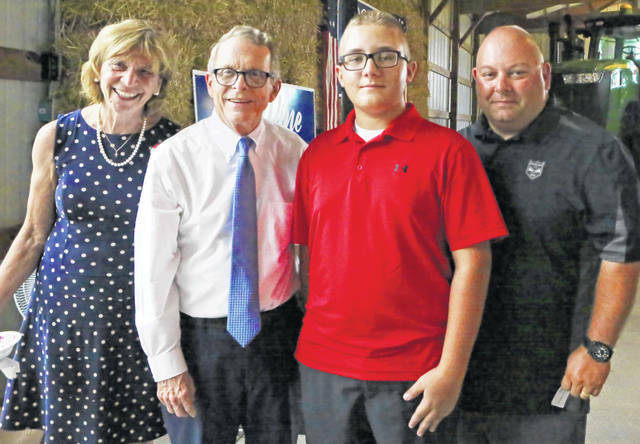 From left are Fran and Mike DeWine and Garrett and Mike Wahl. 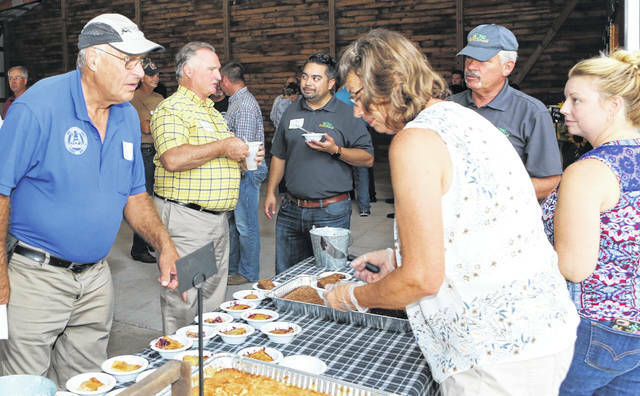 Wilmington Mayor John Stanforth was one of the attendees. 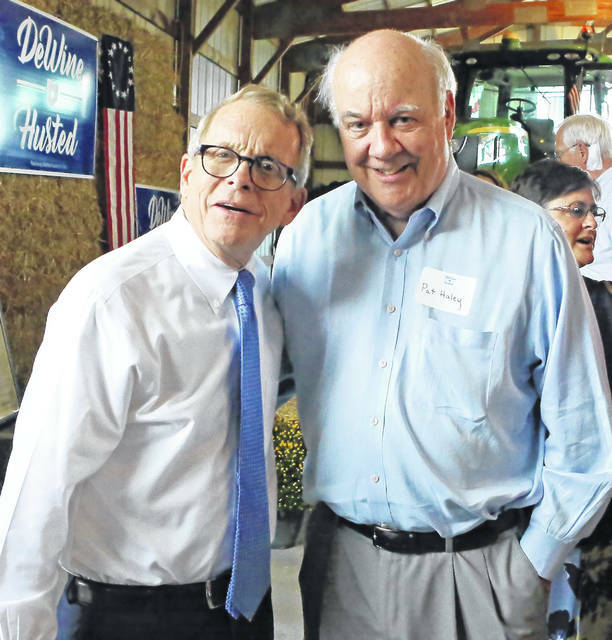 Mike DeWine, left, with Clinton County Commissioner Pat Haley. 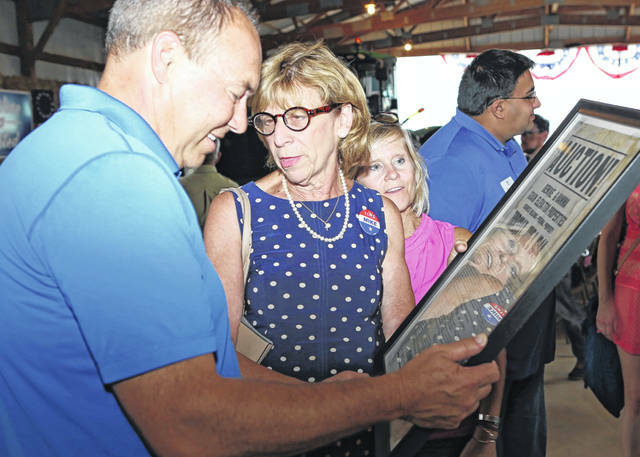 State Sen. Bob Peterson and Fran DeWine take a look at an old auction poster.